Investing in real estate is a great option for investing because of how versatile it can be. Think about your own home. Even if you’ve only owned it for a handful of years, odds are good that you have some equity build up. When done thoughtfully, investing in real estate is a way to invest in either short term or long term ventures to capitalize on that equity. There are a few different ways to invest in real estate. The most common option is to purchase a property or properties and rent them out. But, if being a landlord isn’t an appealing idea, there are alternatives. Another incredibly popular way to invest recently — especially for those of you who like to get your hands dirty — has been to buy run-down properties, fix them up, and sell them for a profit. Or, if you prefer to be more hands-off, joining a real estate investment trust is a way to invest in and own a share in real estate projects (or mortgages). The biggest factor in choosing how to invest is how much work you want to do yourself. If you like to be hands-on, flipping properties or managing rentals lets you get in and take an active role in your investment. If you prefer a hands-off approach, rental properties can be cared for by a good property management service. Or you can go the route of a real estate investment trust. Another vital factor in any property investment is the property itself. After all, you’ll want to choose properties that are in demand in the area; no demand means no one to buy or rent, and an empty property eats into your profits. The real estate market is incredibly localized, so it’s important to know what the trends have been, and what they predict. If you aren’t up on current market trends, it’s a good idea to find an experienced local realtor to help you out. Just like any other investment, you’ll want to be sure your properties are protected. Connect with your local real estate lawyer for help going over contracts before buying, creating lease agreements, setting up Section 1031 exchanges when appropriate, and so much more. Working with a real estate lawyer throughout the investment process can help prevent issues with property disagreements down the road. 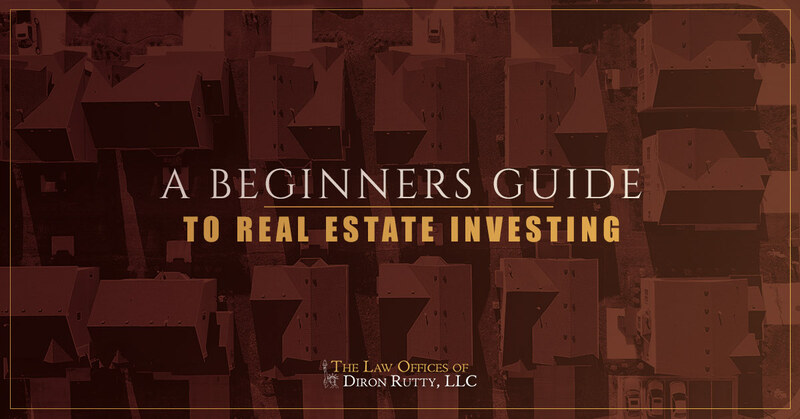 If you’re ready to invest in property in The Bronx or anywhere in New York City, work with the experienced professionals at the Law Office of Diron Rutty, LLC. Contact us today to schedule your consultation.